"Thank you so much for the amazing job you did with one of my clients last weekend. You guys have the most amazing new Expedition! My client was so impressed with the driver, his knowledge of the area, cleanliness of the truck, and light show, just to name a few things. Great job! Precise Event Planning will continue to promote your services!! Also, I need to see this Expedition!" "Thank you for such great service your company gave us. This was our first time using your company but it won’t be the last your drivers were great and very courteous. We had a long day yesterday with the darn delays but you driver was right there still waiting for us and made the ride home comfortable even with all the darn fog. Thanks again." 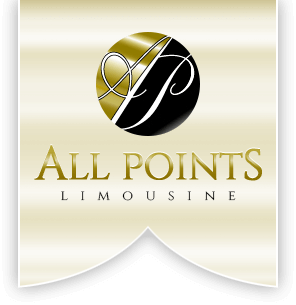 "I wanted to drop you a quick note to say how well Dan Moore and the All Points limo worked out this past Saturday for our daughter’s wedding. Dan was excellent and the car was just super! Dan was more than happy to deliver one last surprise gift to them just as he got them to Boston (beach paraphernalia for their Antigua honeymoon). And thank you too for helping to make the arrangements and whole process go so smoothly…"
"Can I just tell you how much FUN the kids had yesterday??? Danny was awesome, and the kids just had so much fun – riding around, singing, laughing. What a great night. I told the kids that Justin Bieber (teenage heartthrob) had ridden in that same limo and that Danny had driven him, and the girls were all gaga, asking if he touched this, touched that. It was such a fun time, and I wanted to thank you and Danny for that experience." "Thanks so much for everything! We had a blast and Danny was great! Thanks again :)"
"Hi …wanted to thank you for a great experience…the driver was right on time and was a great guy. Thanks again !!!" "Wow – did you spoil me rotten!! Thanks sooooo much for sending the white stretch for my trip – you didn’t have to do that… what a treat! Both drivers were wonderful .. and Jim was awesome. Now I know why J.K. said Jim was his favorite driver! Thanks again – you guys are great!!!!!!!!" "Thanks for tracking everything. The limo rides were great… nice service, good drivers. I will definitely use again." "The two drivers I had were exceptional (Ed and Sinque)!! I am requesting that Sinque pick me up Friday. He was great. Thanks!" "I just wanted to thank you very much for the professional service provided to our family. The drivers were great and the cars were awesome! I’ll be sure to recommend your company with high regards. Thank you again." "The drivers are always so good about double checking the return when they pick you up. All Points is always good and dependable – wouldn’t have anyone else take us!" "I wanted to drop you a note to say thank you for your wonderful service. Ed was right on time for our pick up and so pleasurable and our return driver was right there and our whole experience with All Points was great. Thanks." "Ed did a great job on Friday. It sure was cold and he made sure he was at the pickup point before I came out to the car." "I just wanted to thank you for the outstanding service that we received for our recent vacation. Your drivers were courteous, prompt & extremely professional. It was such a relief not having to find our own way to/from Logan. A special thank you for the treat awaiting us on our return journey — wow, a stretch limo for two after being cramped in economy seats for over eight hours!! You are the best! We not only plan to call upon you again in the future but will encourage our friends & family to rely on your services as well. Thanks again!" "Tonight I was driven by Jaime from The Comcast Center in Mansfield, MA to Sudbury, MA. Jaime was extremely friendly and he was very courteous to me and my friends. We had just as much fun with Jaime on the ride home as we did at the concert. We already tipped him heavily but wanted to make sure he got the recognition he deserves. Jaime is a great driver and a great guy." "We had a group trip to Oregon, which required 3 seperate drives into Logan, and then we all came back at the same time. All Points was able to accomodate every need. The drivers to the folks answering the phones were very professional. I had tried calling other companies and never got a response back. I would not hesitate recommending or using All Points in the future." "I can't stress how thankful I am for your prompt,professional on-time service. Last month,(April ) my handicapped daughter and nurse came to visit us from Leominster to Florida for a much needed vacation. You guys had quite the winter!! The day before her arrival home via Logan Airport, we were informed that her ride home was not available. We researched on-line our last minute options.We booked with All Points, and was assured that all would be well regarding their pick-up at Logan on Friday night at 6:00PM......rush hour. The driver David not only was on time; he emailed to ask if they wanted DD coffee. He loaded all the bags, to include the wheel chair, and delivered them home safely. This father was able to rest easy in Florida. I highly recommend these professionals for any transportation needs."